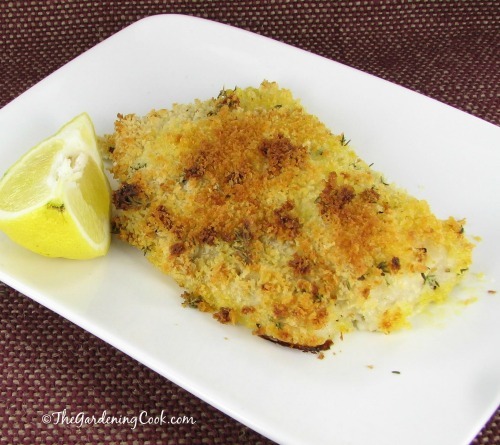 Panko Bread Crumbs Gives this Baked Cod Recipe a Fried Fish Taste Without the Calories. 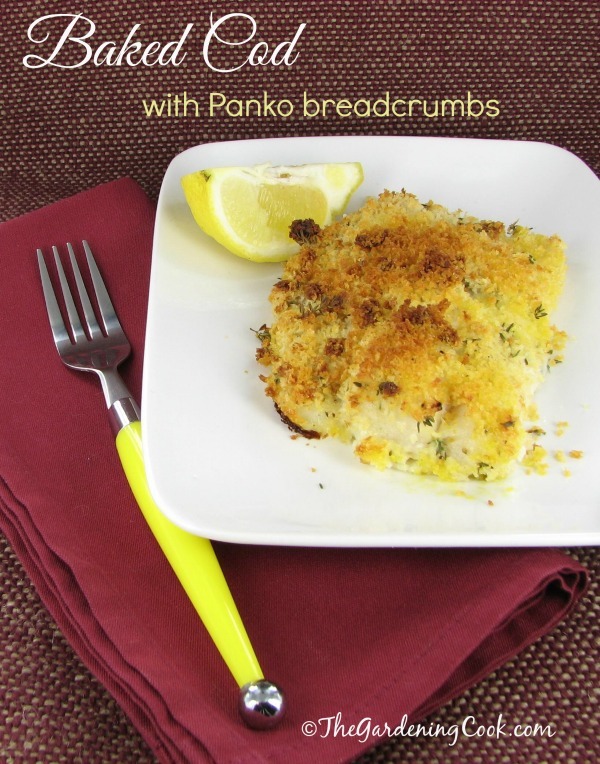 The secret is the Panko bread crumbs which are baked instead of fried. I like to set up a dipping station before I start. It makes the coating procedure go smoothly so that it does not take too much time. 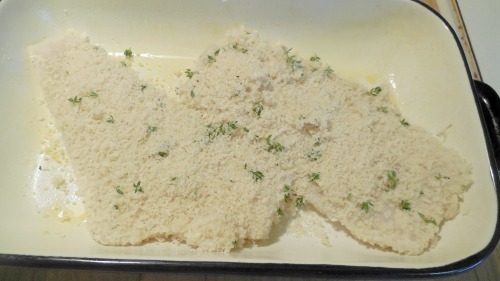 I wash my hands between the flour mixture and dipping in the Panko mixture. 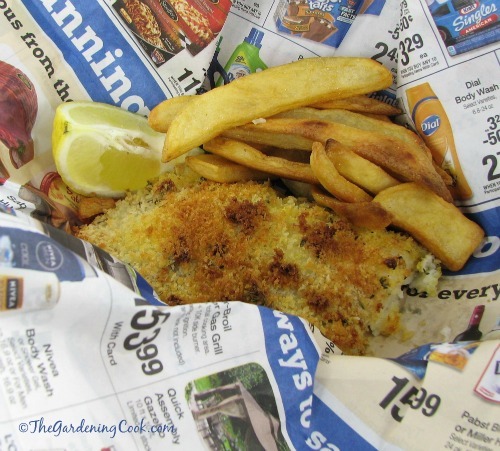 The fish needs to be well seasoned before you dip. Here it is, ready to bake. I spray the entire top as well as the baking dish with Pam buttery spray. It helps to brown the fish. 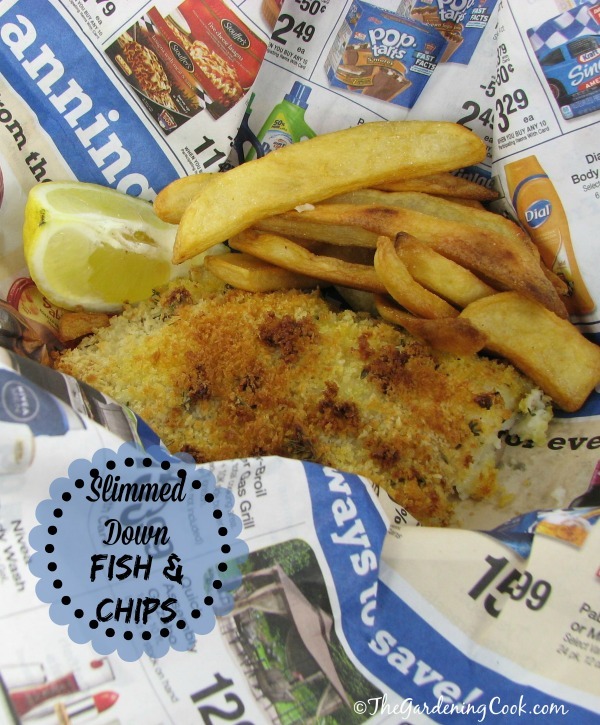 Ready for some slimmed down “fish and chips?” Serve it in some newspaper and you will feel as though you are at a cafe in the UK. Well….almost! The fish ends up being so sweet and tender and the coating is crispy and delicious. Sure, it’s not the real thing but has so many less calories, it makes a great substitute. And if you don’t want the “chips” just add a tossed salad or your favorite veggies for an even greater calorie savings. 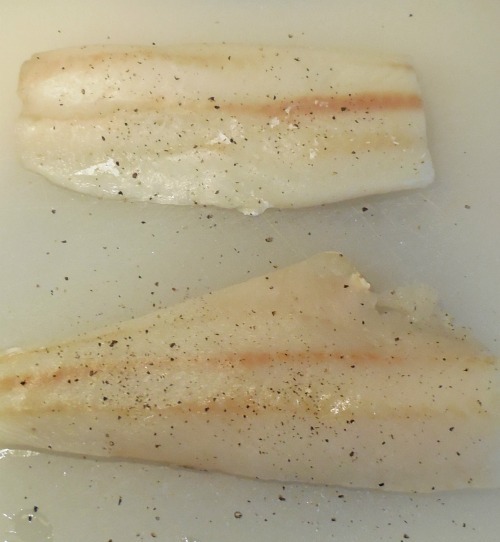 Have you had success with baking fish and other proteins instead of frying? Please leave your tips in the comment section below.